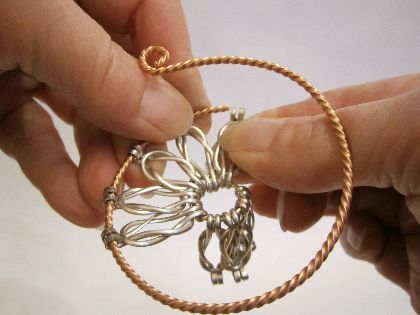 14-gauge dead soft half round wire, 38"
Straighten and cut 18 pieces of 14-gauge half round wire, each 2-3/8" (6cm) long. Mark the centers of those wires at 3cm. 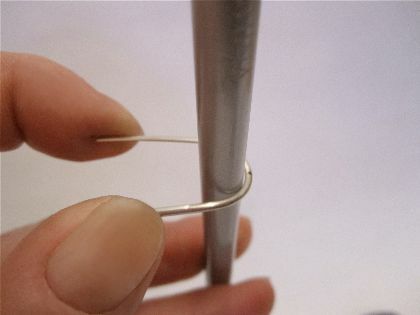 Hold wire with flat nose pliers, then gently bend the wire, bending a loop on the edge of the half round wire. The rounded side should be up, and the flat side should be down. 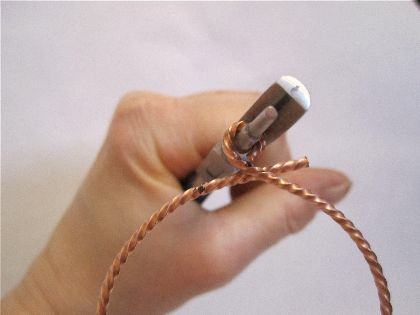 Use your pencil or dowel to keep the rounded loop, then pinch the wire ends together to close. 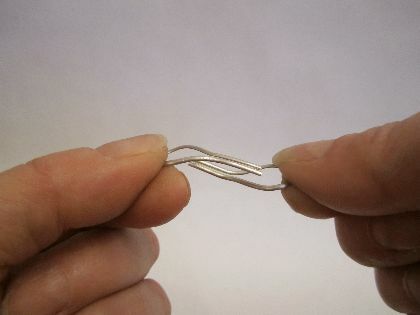 Bend 2 loops gently: 1 piece with rounded side up, 1 with flat side up. 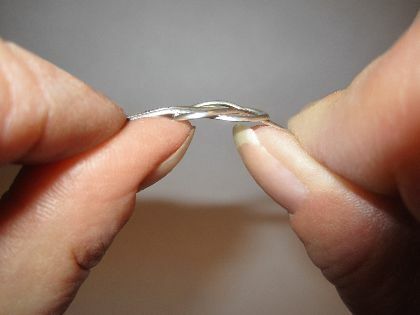 Intertwine the pieces, alinging them with both rounded sides facing upward. Flatten one of the loops' ends. 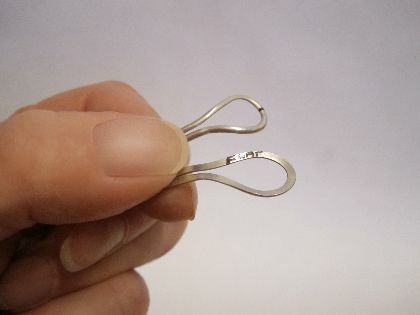 Using the smallest step of 3-step pliers, curl the ends coming out over the rounded (top) side of the link, until that end touches the flat side. Repeat on the other side, this time with the flat (bottom) side curling upward. 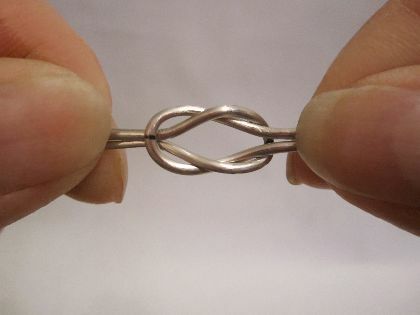 This is your first knot. 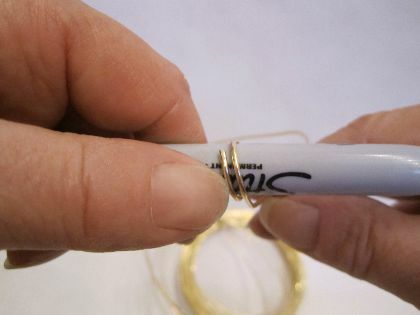 Make 1 jump ring from 16-gauge round wire, using a Sharpie marker as a mandrel. Make 8 more knots. 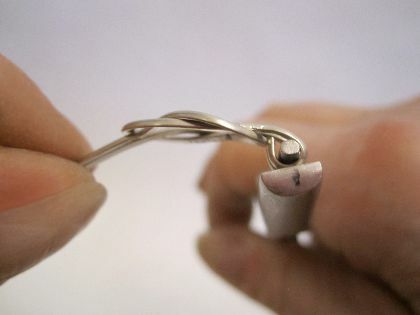 Slide all knots onto the jump ring with the rounded (top) side of the curl outward. 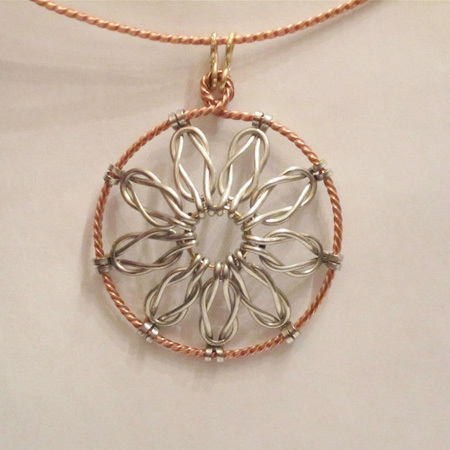 Twist the 14-gauge square wire into a nice bead, or diamond-cut, pattern. 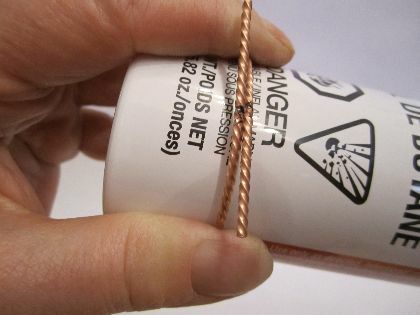 Wrap the twisted wire around a bottle or dowel approx. 2-1/8" in diameter, and mark where the wires meet. 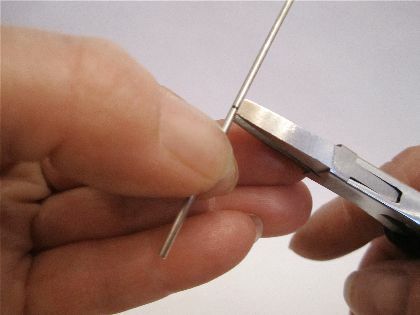 Measure 3/4" from the mark towards each end of the wire, and then cut off the excess. 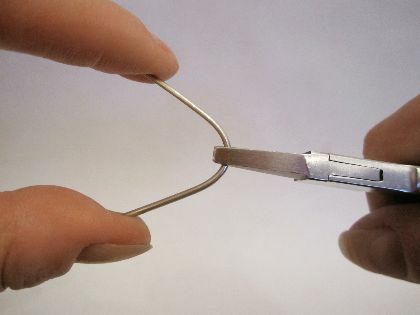 Using the middle step of 3-step pliers, make a loop so that one end meets the mark. Leave the other end straight. 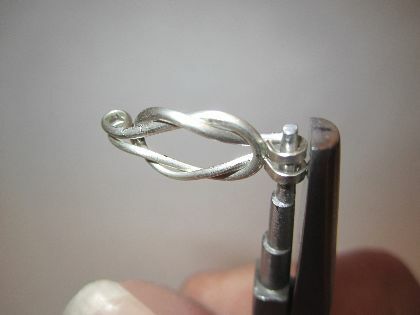 Thread the twisted wire through the flat side-showing end of the 9 knots. Finish top of frame with a loop matching the loop in step 10. 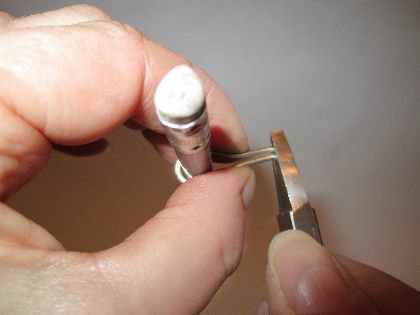 Move knots evenly around circle and crimp firmly onto frame with flat nose pliers. 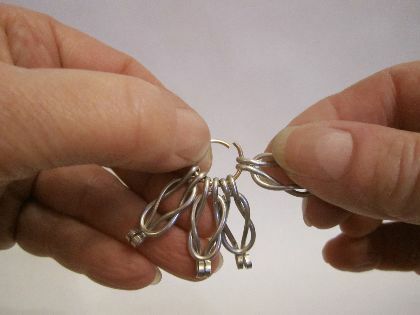 Use 16-gauge round wire to make 2 s-shaped closed hooks to secure the frame loops as bails, or make a bail of your choice. Did you find this pattern through a link from a friend? 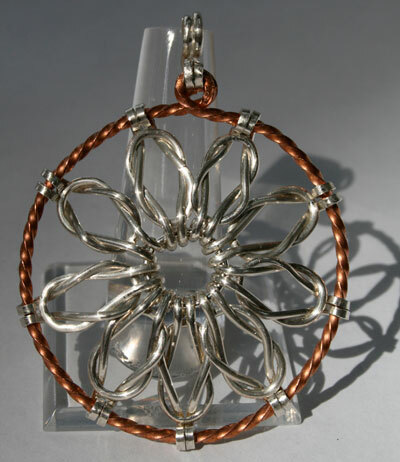 This Free Wire Jewelry Pattern is just one of dozens of free wire jewelry patterns we send via email. Get patterns like this one straight to your inbox - click here!